Sharp X68000 Series 5.25in.Disk. published 31 years ago by Hudson Soft. 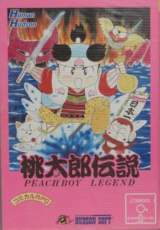 桃太郎伝説 © 1988 Hudson Soft [Hudson Group]. Released on February 26, 1988 in Japan.